The Legend of Zelda: Twilight Princess was one of the first games to hit the Wii, as well as one of the last for the GameCube. This game returns to the more realistic style art-wise and also has one of the darker stories of the Zelda series. 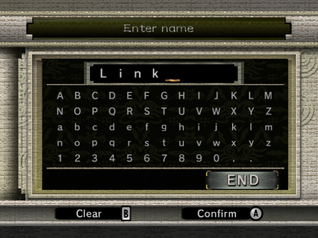 Are you a bad enough dude to save the Twilight Princess? Fill in missing information, check the talk pages for info that hasn't been added yet. Chinese Nvidia Shield TV release information; Difference, etc. More like Cave of Bore-deals. Even Link needs some rest. Rusl and the Terrible, Horrible, No Good, Very Bad Day. It is scientifically impossible for the Dodongo to fly. All the world's a stage, and yet these actors have found themselves out of a job. Whether aquatic or digital, listening to streams is always relaxing. I think you're lost, Mario. Fee-fi-fo-fum, I smell the blood of a pumpkin, son. The initial North American Wii 1.00 version was rushed for the launch of the Wii and missed out on patches for a variety of glitches and is also missing the Canadian French and Latin American Spanish translations. These were added for the 1.02 release in early 2007. If you go to the cannon room in the basement of the sanctuary in Kakariko when Shad is present, save your game and quit, you will be permanently trapped in the room upon reload, without the ability to warp out or leave. This is because saving and quitting causes Shad to warp to the top of the stairs, but the game still thinks he can see you, preventing you from warping the cannon out and continuing with the plot. See the relevant section on the Debug Content page for further details. Warping is normally restricted underwater, but due to an oversight, the map screens warp shortcut button wasn't disabled which lets you warp underwater. If you warp on the last frame before you drown, you can also softlock the game. It is possible to interrupt Midna's warp sequence in many different ways which disables the loading zones around the map you are currently in. In the NA Wii 1.00 version, this can be done by reading or talking to something or using a cutscene item at the same time you call Midna. A few of the methods were patched in the later revisions but still had different ways of pulling it off. For the Japanese GameCube, NA Wii 1.02 and the Korean Wii versions, interrupting Midna will no longer disable the loading zones either. On NA Wii 1.00, a loading zone from North Hyrule Field to Upper Zora's River is present behind a fence. It is possible to reach it by using the Iron Boots to slowly backwalk down the loading zone from Upper Zora's River to North Hyrule Field. This way you spawn just in front of the fence which lets you access the loading zone. All later versions moved the spawn point from Upper Zora's River forward to prevent being able to get behind the fence, added an invisible wall on top of the fence and also removed the loading zone entirely. Despite this, the spawn point for the loading zone was still left in the Upper Zora's River side. If you stand next to Yeto and hit the leaf tree with the Ball and Chain, Yeto initiates a conversation with Link that triggers the snowboard race. The game then freezes right as the race begins. This happens because the leaf falling cutscene gets interrupted by Yeto thinking the leaf has already fallen down. This was fixed in later versions by having the leaf fall down before Yeto starts talking. On all original Wii versions of the game it is possible to unequip the Iron Boots by changing items just when Link is getting pulled towards a magnetic surface. This makes it possible to walk around as if Link had the Iron Boots equipped but still at his normal speed. This glitch was fixed for all GameCube versions and three years later for the Korean Wii version. 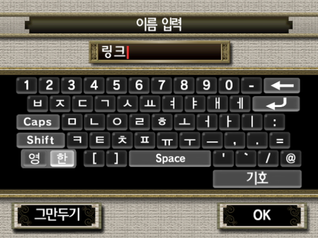 The Korean Wii version got a brand new naming screen for the file select to make use of the Wii Remote. All the other versions use the GameCube design. The file /str/Rfinal/Release/COPYDATE contains a date and time for when the game was compiled. This string is printed on screen during a game crash if the Debug Mode is enabled on GameCube. The Korean Wii version wiped the date completely, instead containing hashtags. The lack of a NA 1.01 Wii release might point to a canceled build for whatever reason. This page was last modified on 30 March 2019, at 10:50.